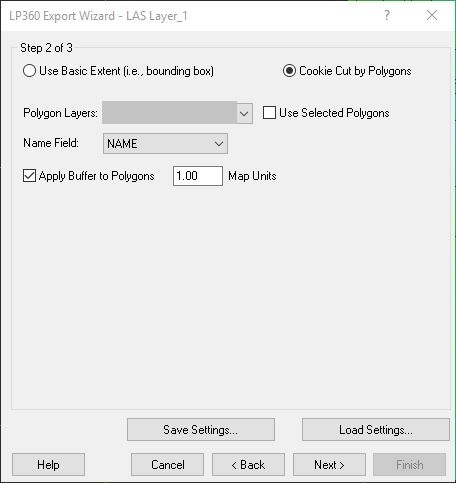 When Cookie Cutting by Polygons in LP360 Export Wizard, Apply Buffer to Polygons doesn’t apply a buffer to the exported data. Fig.1: Apply Buffer to Polygons selected. In LP360 Standalone (64-bit) the apply buffer tool has not been implemented yet. LP360 for ArcMap (32-bit) will correctly generate the buffered output required.